1 Bedroom Upper Floor Flat For Sale in Sheffield for £123,500. Built by Alfred Waterhouse in 1896 this grade II listed building houses this beautiful one bedroom apartment situated on the first floor with the original lift and grand stair case access. The apartment and building really give the feel of the traditional Sheffield living but with a touch of modern in the kitchen and bathroom. Offered with no forward chain this apartment is perfect for any buy to live or investors alike. 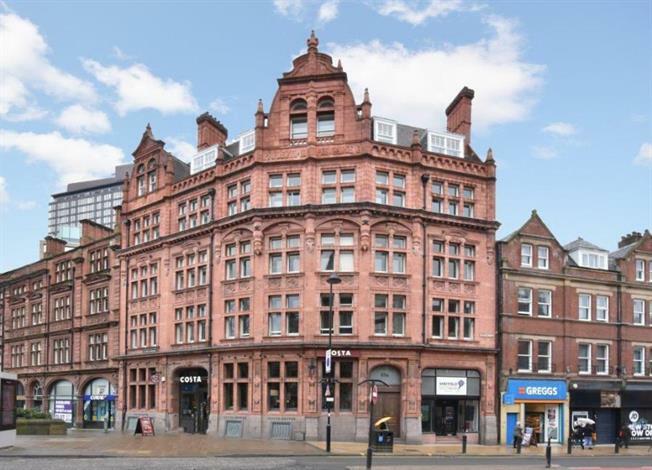 Situated in the heart of the Sheffield city centre the surrounding areas offer a host of shops, bars and restaurants, with access to all means of public transport. Viewing is highly recommended.